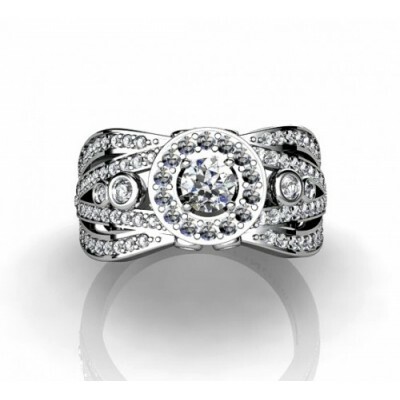 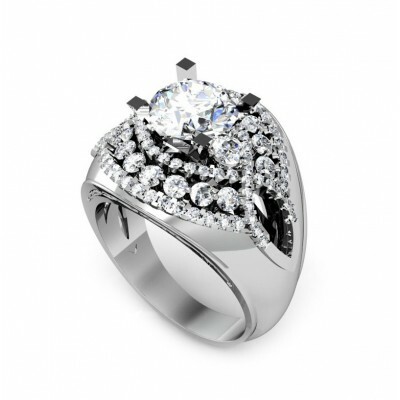 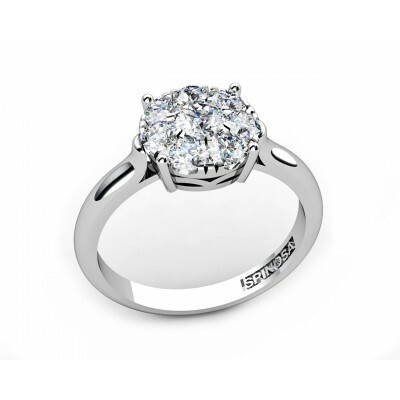 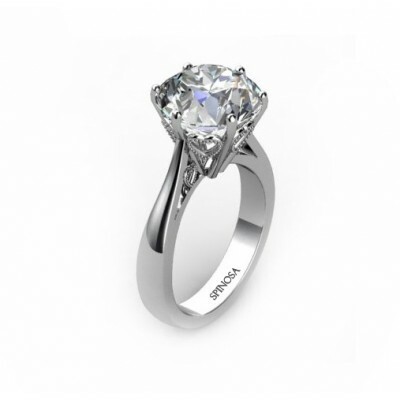 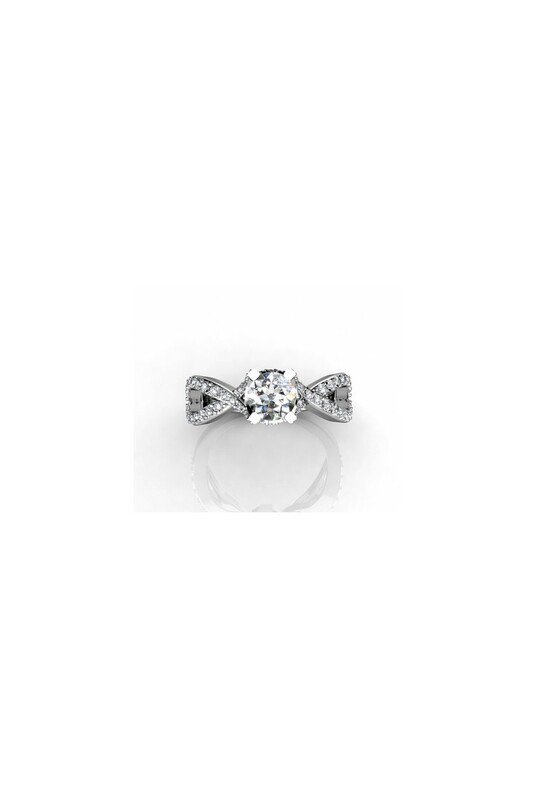 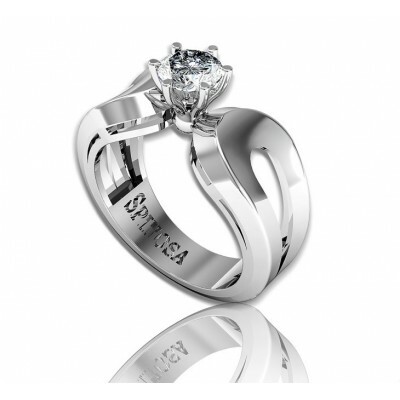 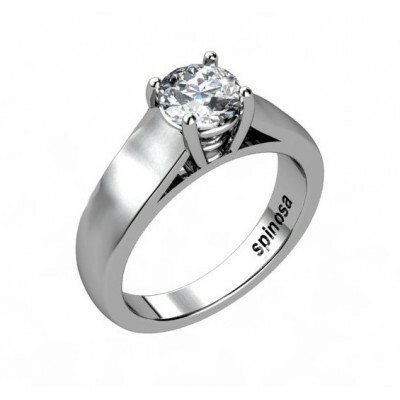 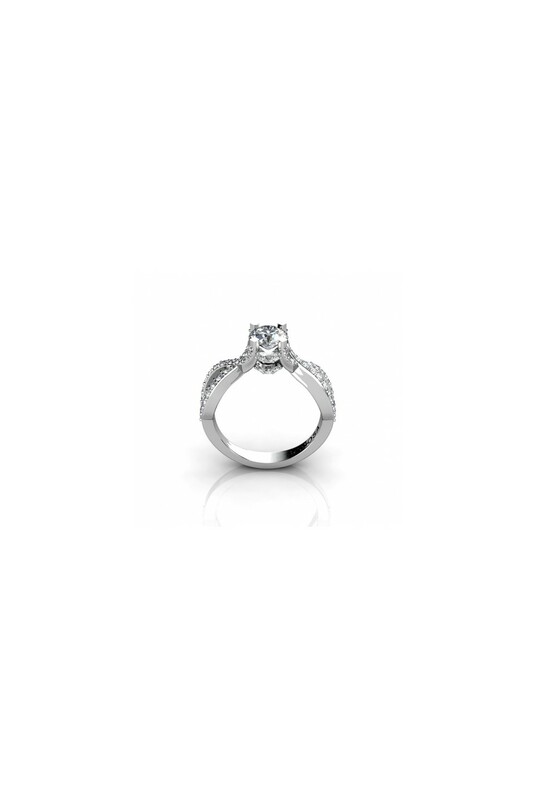 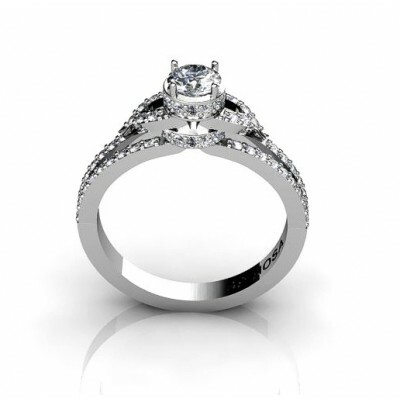 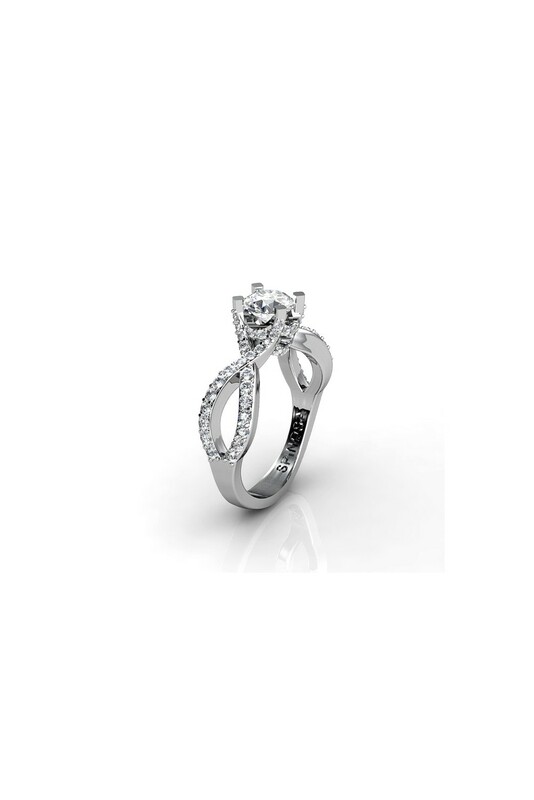 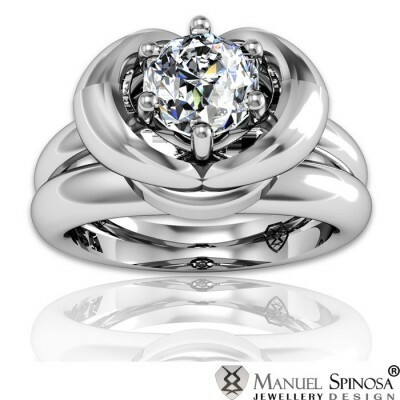 This sophisticated ring is made of 18K white gold. 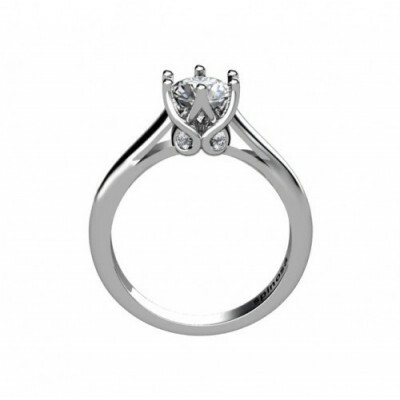 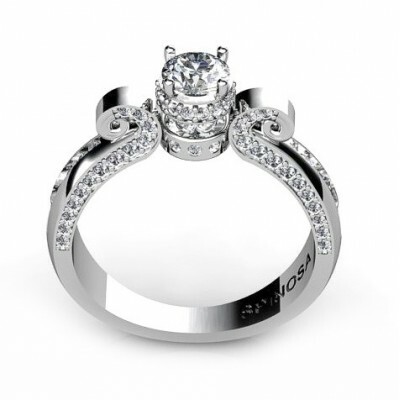 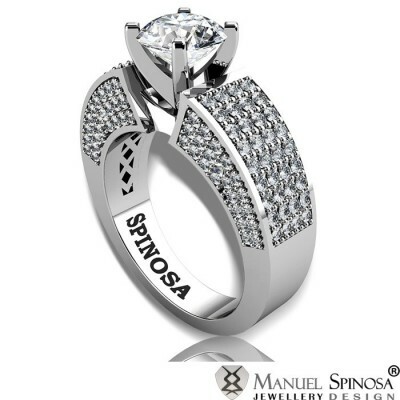 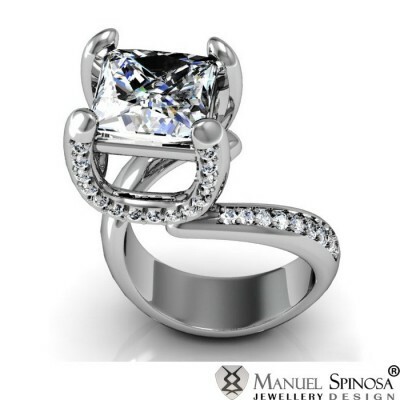 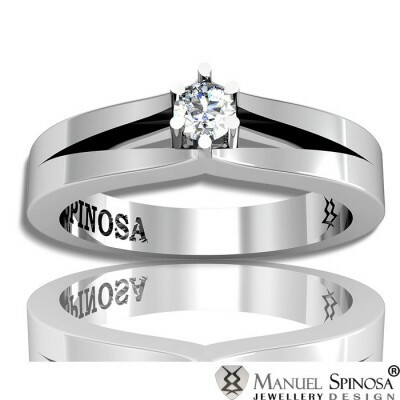 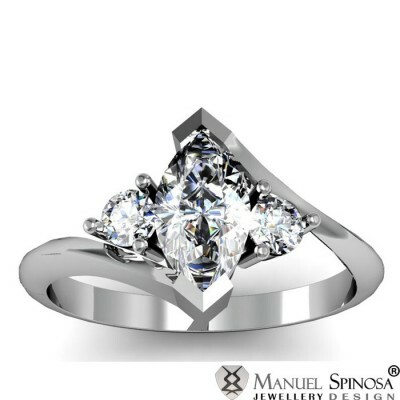 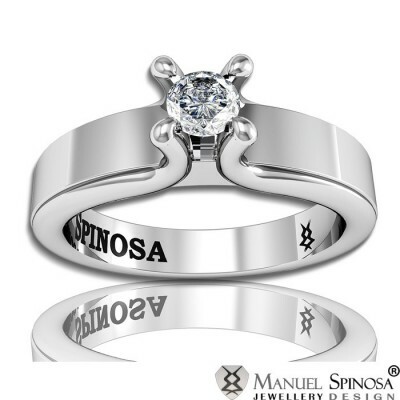 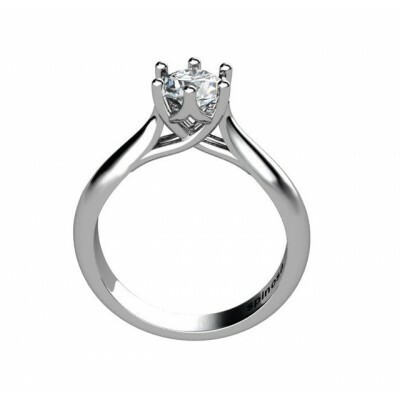 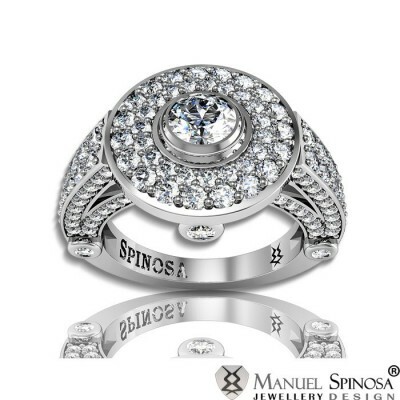 It has a unique braided shape with a central diamond that is secured by 4 claws and surrounded by brilliants. 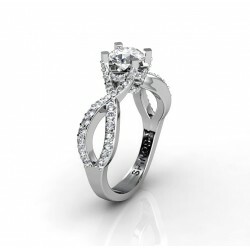 It has a total of 0.69ct, quality H-VS. 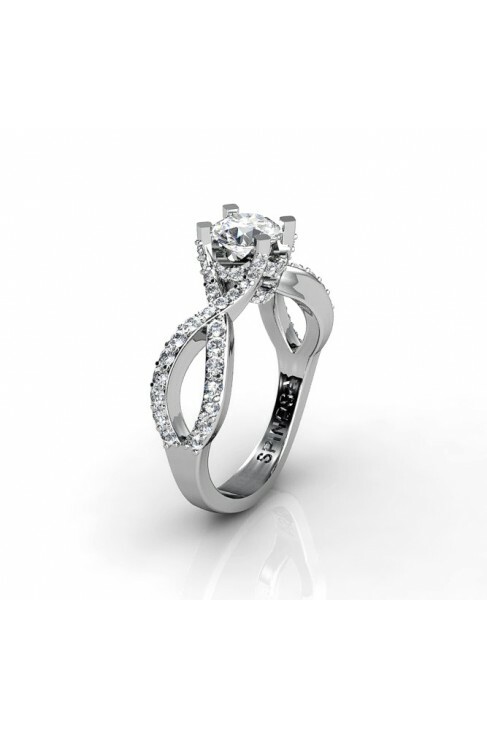 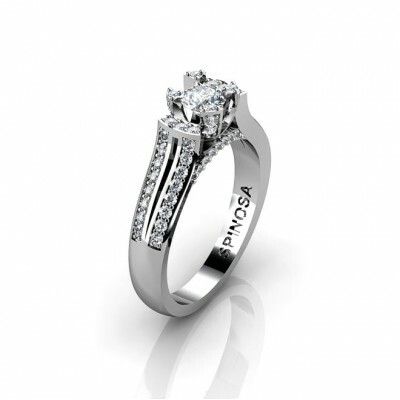 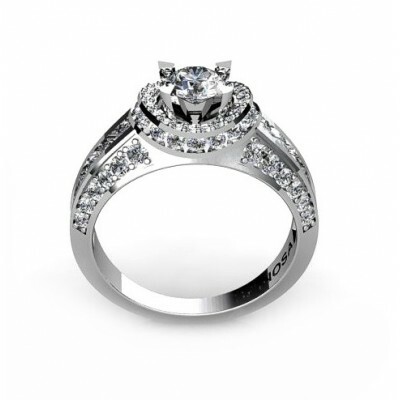 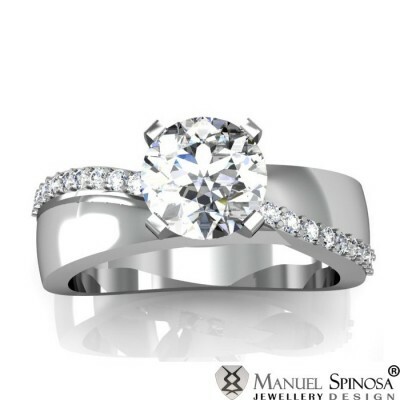 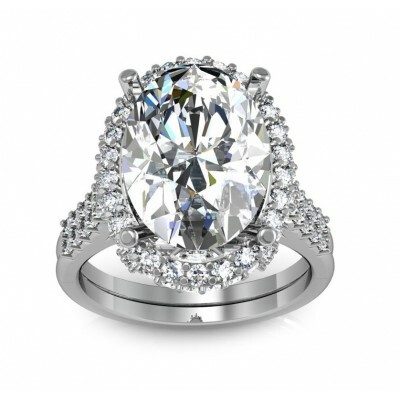 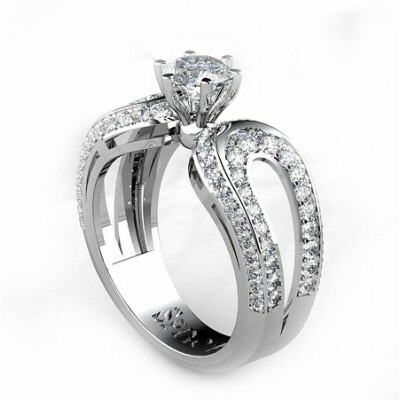 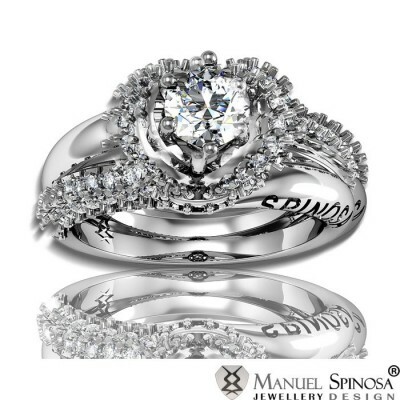 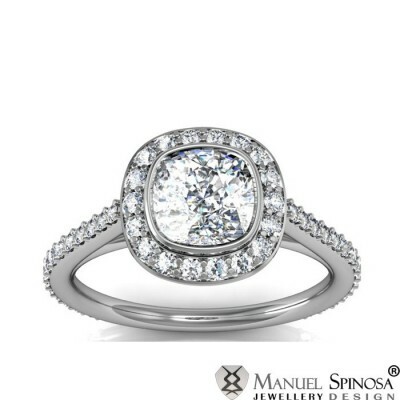 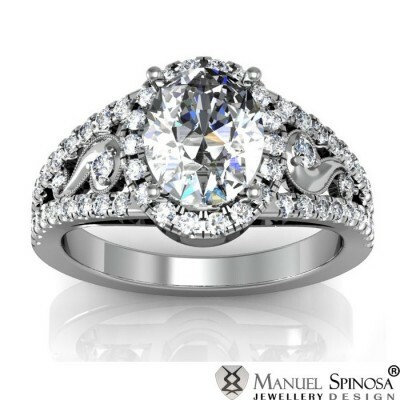 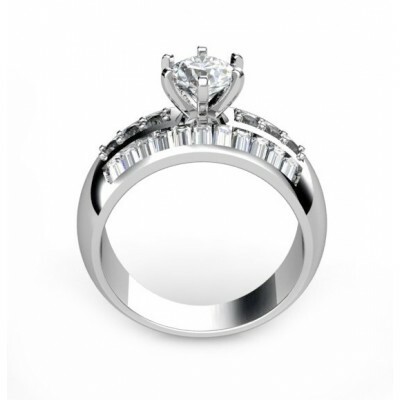 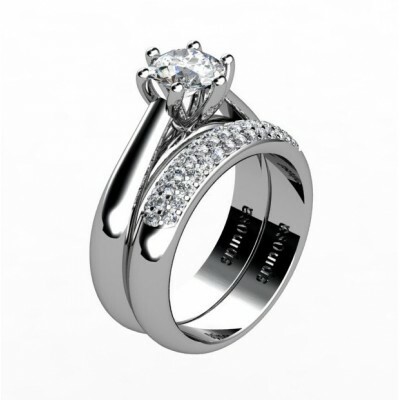 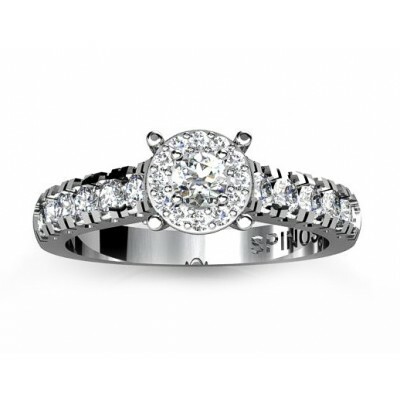 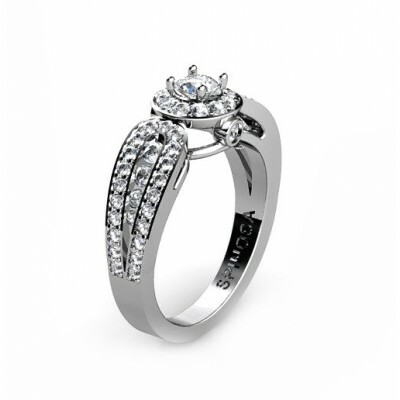 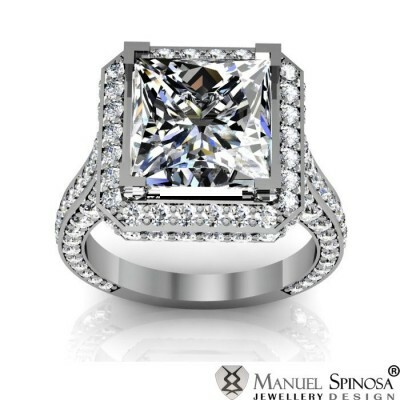 This is a ring the every woman should have!